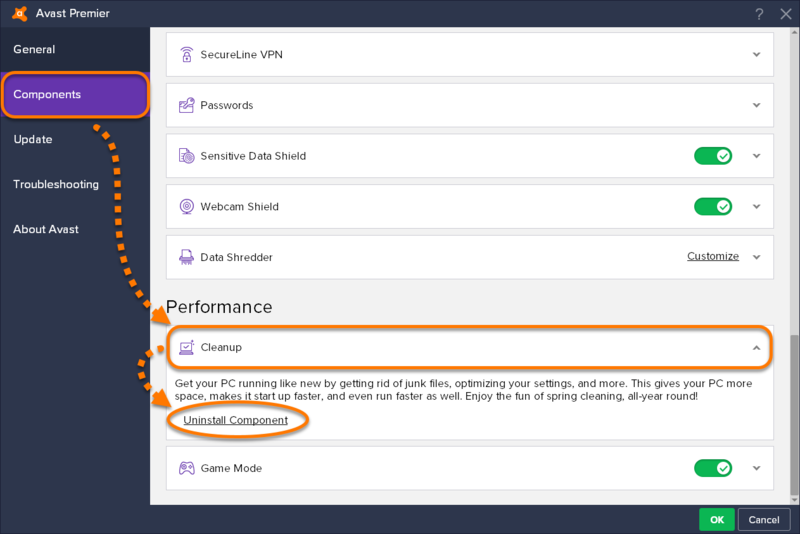 To uninstall Avast Cleanup Premium from your PC, follow the steps in the sections below according to your program version. 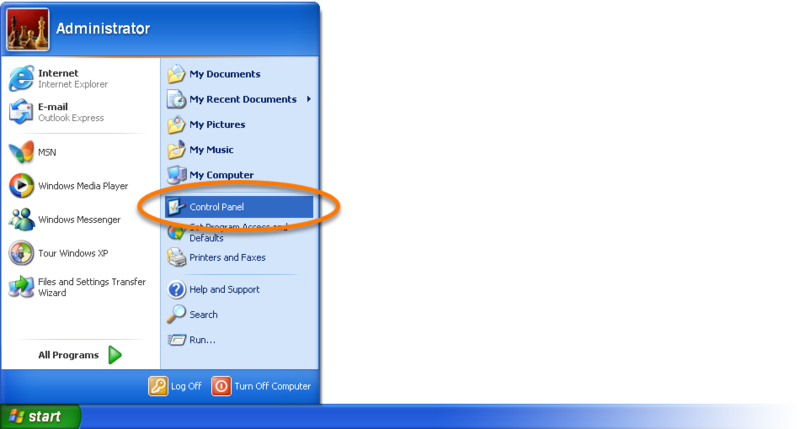 Right-click the Windows Start button and select Apps and Features from the menu that appears. 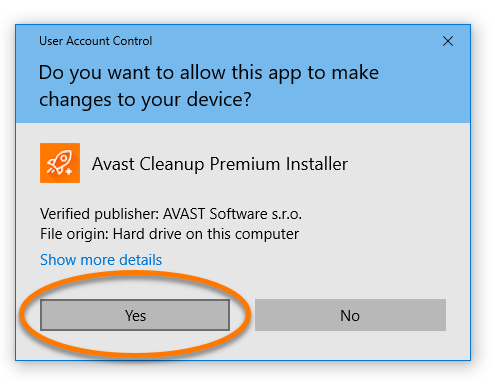 Ensure that Apps & Features is selected in the left panel, then click Avast Cleanup Premium, and select Uninstall. Press the Win key and X key simultaneously, then select Programs and Features from the menu that appears. 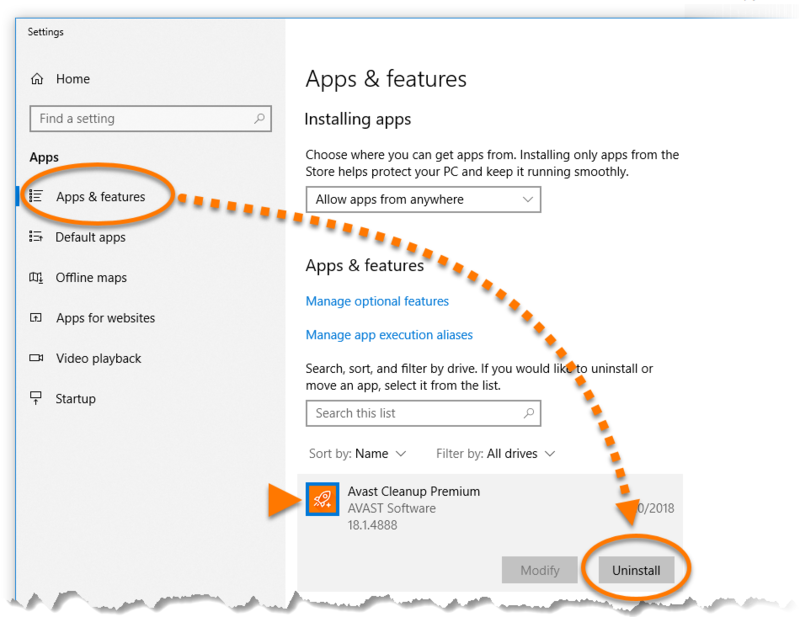 Right-click Avast Cleanup Premium, then select Uninstall from the drop-down menu. 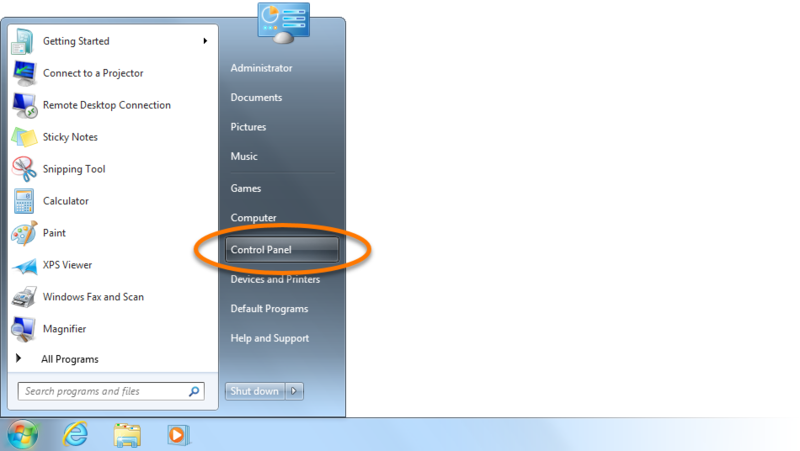 Click the Windows Start button and select Control Panel. 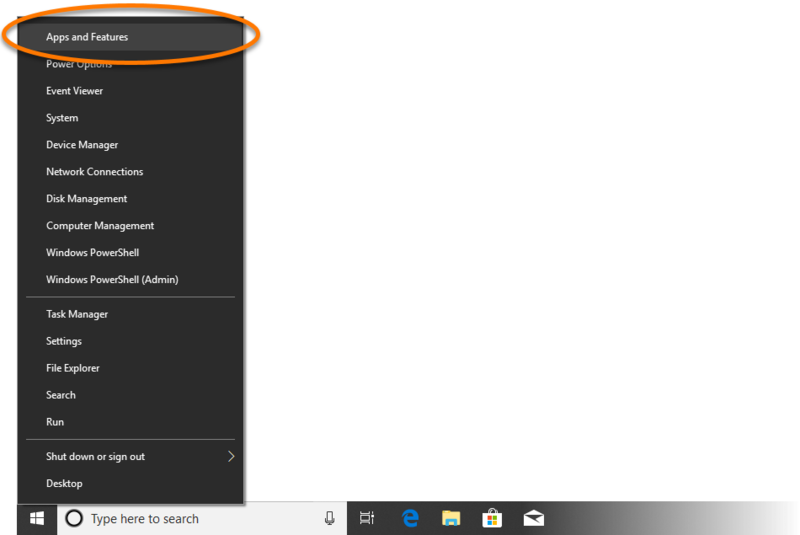 Under Programs, click Uninstall a program if you are using the default category view, ...or click Programs and Features if you are using the large/small icons view. 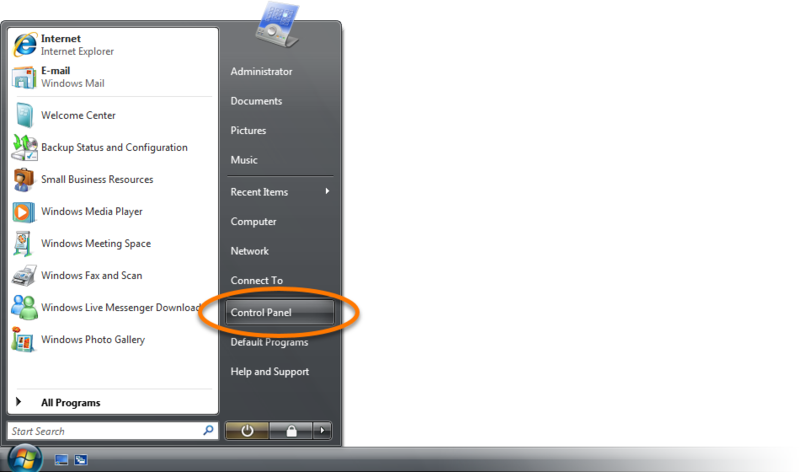 Click the Windows Start button and select Control Panel, ...or select Settings ▸ Control Panel if you are using the classic Start menu. Under Programs, click Uninstall a program if you are using the default category view, ...or double-click Programs and Features if you are using the classic view. Click Add or Remove Programs if you are using the category view, ...or double-click Add or Remove Programs if you are using the classic view. 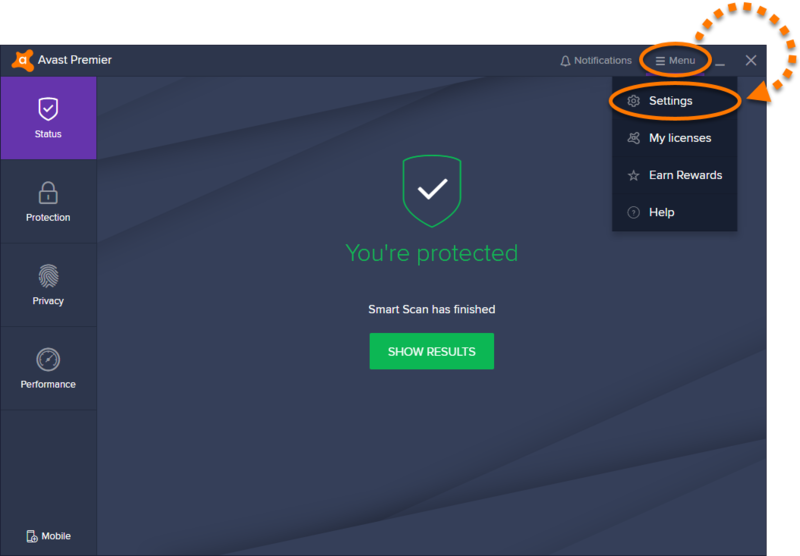 Select Avast Cleanup Premium by clicking it once, then click Remove in the bottom-right corner of the highlighted selection. If prompted by the User Account Control dialog for permissions, click YesContinue. 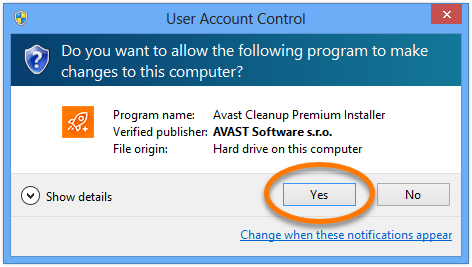 When the Avast Cleanup Premium Uninstaller appears, click Yes to confirm the uninstallation. 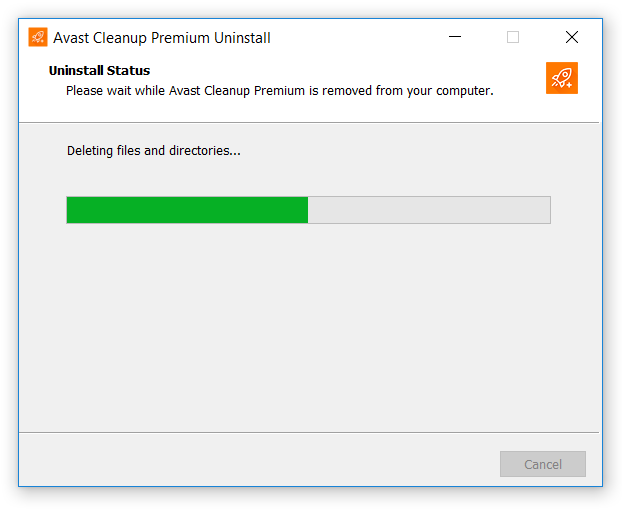 Wait while uninstaller removes Avast Cleanup Premium from your PC. Once the uninstallation is complete, click OK. Select the Components tab from the left panel, scroll to the bottom and click the Cleanup panel to expand the section. Then click Uninstall Component. 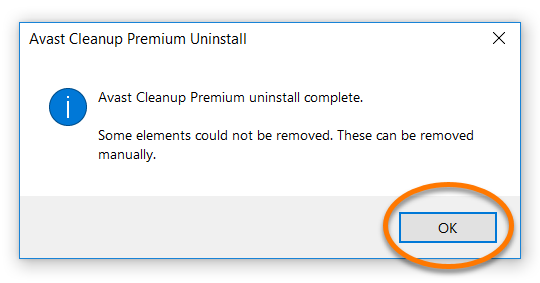 Click OK to confirm the Cleanup component uninstallation. 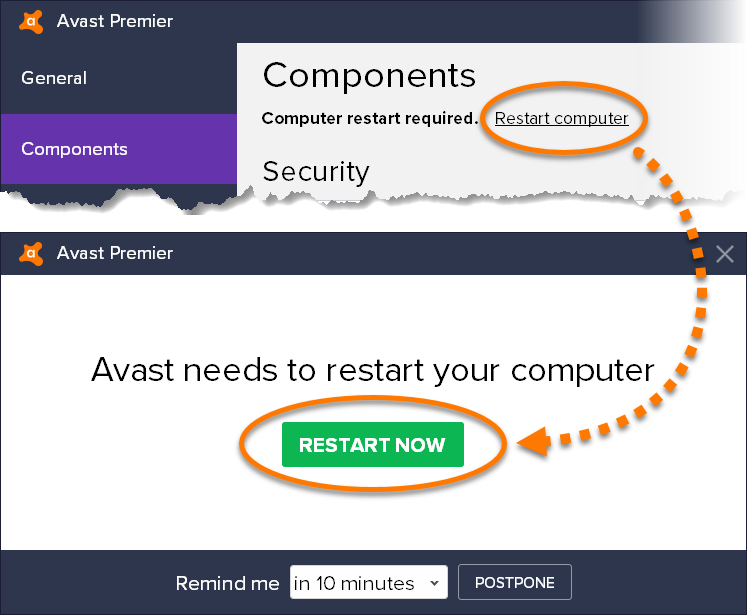 Click Restart computer at the top of the Components screen, then click Restart Now to complete the Cleanup component uninstallation. 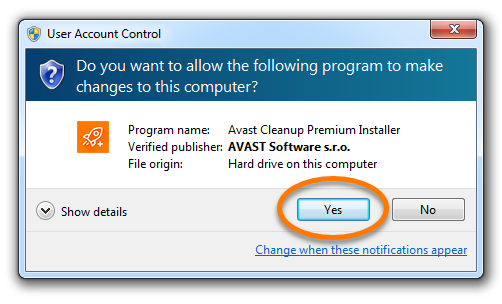 The Cleanup component is now removed from Avast Antivirus. 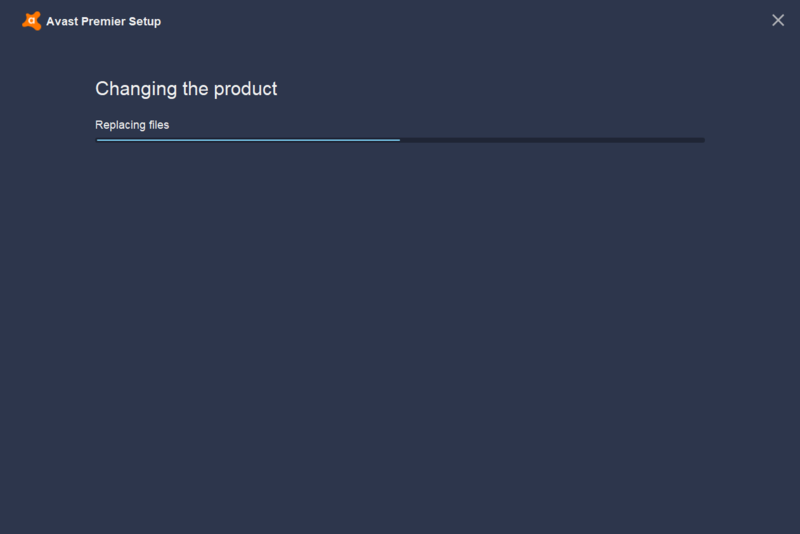 To install the Cleanup component again, repeat the steps above and click Install Component in step 2. 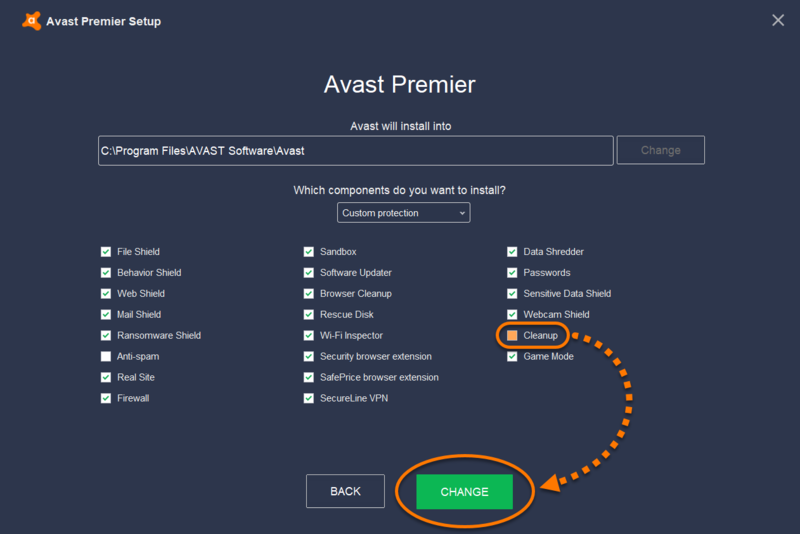 Open the Avast Setup wizard of Avast Antivirus. 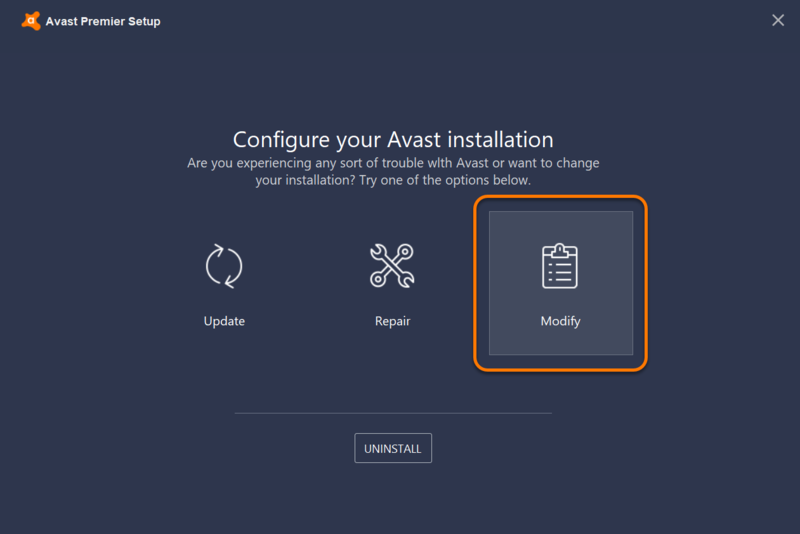 Click Modify in the Avast Setup wizard. Untick the Cleanup box and click Change. 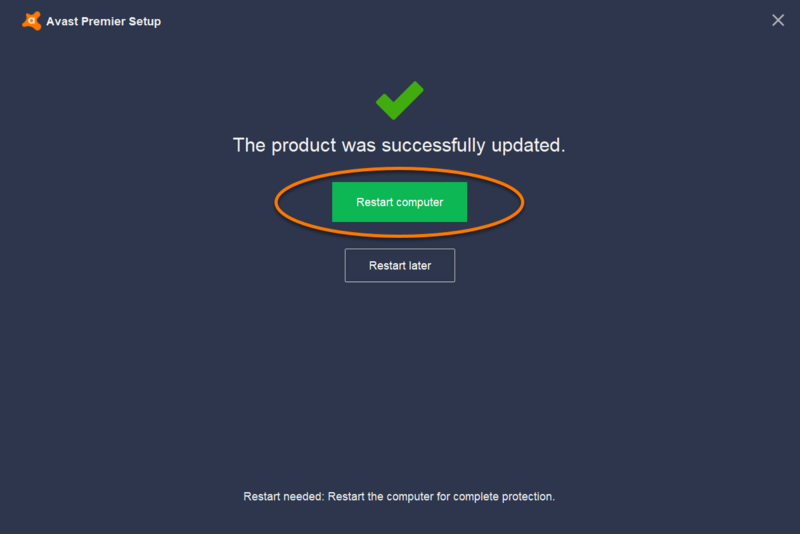 Wait while setup updates Avast Antivirus on your PC. Click Restart computer to complete the Cleanup component uninstallation. 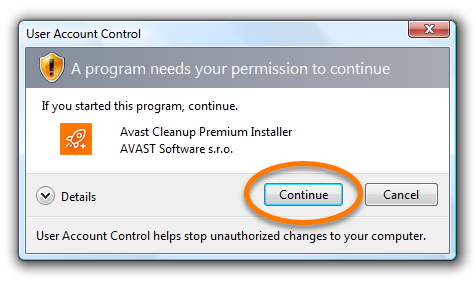 The Cleanup component is now removed from Avast Antivirus. To install the Cleanup component again, repeat the steps above and tick the Cleanup box in step 3.